About half of children with autism spectrum disorders (ASD) can be diagnosed soon after their first birthday; others with the disorder may appear to develop normally until that age and then falter or regress during their second year, NIMH-funded researchers have discovered. Their study is the first to identify two such distinct patterns of illness onset by prospectively following the development of toddlers at risk for the disorders. The researchers hope to develop criteria for clinicians to use in diagnosing ASDs in one-year-olds, since early intervention holds the best hope for a better outcome. The disorders are still rarely diagnosed before age 3. Rebecca Landa, Ph.D., of the Kennedy Krieger Institute in Baltimore, and colleagues reported on their findings from repeated clinical observations and standardized tests in the July 2007 issue of the Archives of General Psychiatry. Affecting about 1 in 150 children, ASDs are characterized by impairments in language, communication skills, and the ability to relate to others — and are highly heritable. Accordingly, Landa's team followed the development of social and communication skills from ages 14 to 36 months in107 infants who had siblings with the disorder -- and were therefore deemed at high risk. They also tracked 18 low risk healthy controls from unaffected families. By the end of the study, 30 of the high risk children were diagnosed with ASDs. Half of these children had developed marked signs of disturbed sociability and play behavior by 14 months. 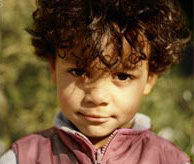 These children exhibited lags in development on multiple measures early on. They rarely initiated communications or shared experiences with others, missed social cues, used toys inappropriately, and displayed a limited repertoire of words and gestures. Social engagement became rare and fleeting. In contrast to this early-diagnosis group, a later-diagnosis group showed a very different course. At 14 months, they were distinguishable from healthy children only in that they shifted their gaze less between objects and a person's eyes. However, their social functioning subsequently deteriorated so that by two years, these children behaved similarly to the early-diagnosis group. The researchers note that children in the later-diagnosis group would likely pass a screening at 14 months, underscoring the importance of re-screenings at age 2. Landa and colleagues propose "a continuum of impairment, where children reach the threshold for diagnosis at different times in the first 3 years of life."